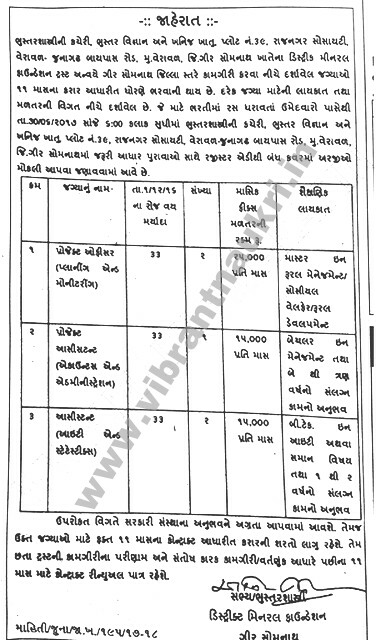 Junagadh Department of Geology and Mineral Sciences, Recruitment 2017 | Various Posts : Department of Geology and Mineral Sciences, Junagadh has published recruitment for below mentioned Posts 2017. More information please read below mention details carefully. 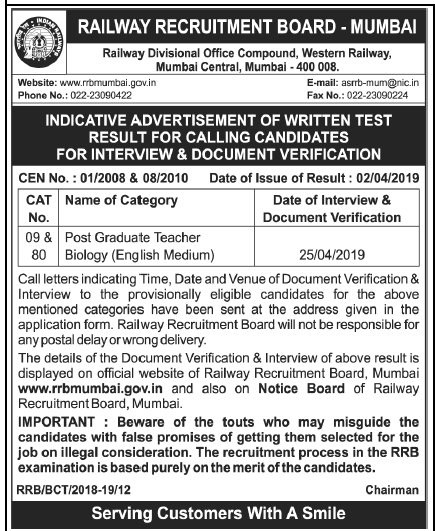 Address to sent Applications: Department of Geol and Mineral Sciences, Plot no 39, Rajnagar Soci, Veraval- Junagadh Bypass Road, At- Veraval, Geer Somnath.